Neck pain is any unease or discomfort on any of the numerous structures of the neck. These structures could include the nerves, muscles, bones, and joints situated in the neck. When you have neck pain, there is a tendency to feel sore on your neck and moving your neck could be difficult especially when moving it to one side. People often refer to this as having a stiff neck. A major cause of neck pain is muscle strain due to; poor posture while reading a book or watching TV, bending over a desk for hours, sleeping in a poor or uncomfortable position, lifting heavy materials wrongly, and staring at a computer that is not ergonomically positioned. Other causes of neck pain include; medical condition (for example; fibromyalgia), ruptured disk, poor nutrition, spinal stenosis and cervical arthritis. Avoid stressful situations as they may trigger neck pain. Include relaxation techniques, such as yoga and meditation, to your routine. Ensure your posture is good at all times to maintain an optimal head and spine balance. Ensure your desk, computer and chair are ergonomically-optimized to prevent neck pain, rapid fatigue and other types of body pain. Sleep on a firm mattress with a pillow that supports your neck. You may even get a special neck pillow. Avoid smoking as smoking may hinder the neck healing process. Strive to keep your body weight healthy and optimal. Epsom salt helps in reducing muscle stress and alleviates muscle tension in an incredible way. Epsom salt also has a relaxing effect which reduces swelling and pain. Prepare a warm water bath and add two cups of Epsom salt to it. Soak yourself in it for 20 minutes. Make sure your neck is inside the water. Repeat this once every day until there is an improvement. Do not take the Epsom salt bath if you have high blood pressure, heart problems or diabetes. An Ice pack is a simple and effective way to reduce inflammation and pain from the neck. Simply put some ice in a plastic bag and crush them. Wrap it in a towel and place it in your neck for a few minutes. Avoid using it for more than 15 minutes in one sitting. Repeat the ice pack treatment 2-3 times in a day to relieve pain. Hydrotherapy is as effective as any other remedy in treating a neck pain. The force of water and the change in temperature helps in relieving pain and swelling in a fast and easy way. Allow a warm shower in the affected area for 3-4 minutes. Now take a cold shower in the neck region for 1-2 minutes. Repeat it a few times to ease muscle stiffness. The warm water will improve the circulation of the blood while the cold water would help reduce inflammation. Avoid moving or turning your neck during the shower to reap benefits of the therapy. A blend of various essential oil can be helpful in reducing inflammation from the area and relieve muscle stiffness. Take peppermint oil, cypress oil, basil oil, lavender oil and blend them together. Take a little of this blended essential oil and mix it with warm olive oil. Apply this mixture to the neck area and massage in a gentle motion. Repeat this twice every day for a faster healing. Apple cider vinegar is anti-inflammatory in nature which would relieve the pain in a natural way. The high amount of antioxidants present in it promotes healing. Simply soak a paper towel or a thin towel in apple cider vinegar and place it on the affected area of the neck. Let it stay for a few hours for effective results. Repeat this 1-2 times every day. Acupuncture is an old remedy for treating neck pain but should be done only by a certified therapist. There are certain points in our body which can be activated to treat many ailments including pain. A therapist would insert needles on certain areas of your body to stimulate recovery. Acupuncture would improve circulation of lymph and blood in the body to facilitate healing. Lavender oil has a relaxing effect on the muscles which may help in relieving stiffness in your neck and relieve pain and inflammation. Start by taking a warm shower to relieve muscle stiffness. Take a little lavender oil and rub it over the affected area. Use small circular strokes with a gentle pressure to spread the oil and massage for about 10 minutes. Avoid massaging the area if there is a severe pain. Massaging your neck is a great way to relieve stiffness and muscle swelling from your neck and reduce pain. You can easily do the massage at home or ask your friend to help you. Start by grasping the problem area of the neck with your hand. Stretch your hand by putting your thumb and fingers apart. Now gently squeeze the area for a few times for an instant relief. Do not put pressure if you are experiencing pain. Exercising your neck in a slow motion may help in reducing pain and stiffness. Start by nodding your head so that your chin touches your chest and then points towards the sky. Now nod your head from side to side. Make sure you do not experience pain while doing it. Repeat the exercise 15-20 times to ease the muscles and alleviate pain. You may also try isometric exercises to relieve neck pain. Sit in a comfortable position and put your right hand on right side of your head and press your head against it. Repeat it with the left side followed by the front and back. Use both hands on your back and front of the head. Ginger is an anti-inflammatory agent that helps in reducing redness, swelling, and pain naturally. Prepare ginger tea by boiling a few pieces of fresh ginger roots in two cups of water. Let it boil for 10 minutes. Then, strain it and drink it three times every day. You may also apply a ginger compress. For the ginger compress, simply put some grated ginger in a cheesecloth and put it in hot water for half a minute. Cool it and place it in the affected area for 20 minutes. Do it a few times for a fast action. Applying heat to the affected area may improve blood circulation and relieve stiffness and pain. Take a warm shower or apply heat with the help of a heating pad on your neck. You may also use a hot water bottle for an instant relief from pain and discomfort. Yoga is yet another natural way to relieve neck pain. It helps in stretching the muscles and easing stiffness. Incorporating meditation with yoga may foster great results. Asanas that may be helpful are relaxation pose, cat pose, child pose and twist pose. Turmeric contains a phytochemical called curcumin which has an anti-inflammatory action on the body. Curcumin would help in reducing pain by improving blood circulation. Take a glass of milk and add a teaspoon of powdered turmeric to it. Put it over heat for 4-5 minutes. Add a dash of honey and mix well. Allow it to cool and consume it to speed up healing. Drink this mixture twice in a day. 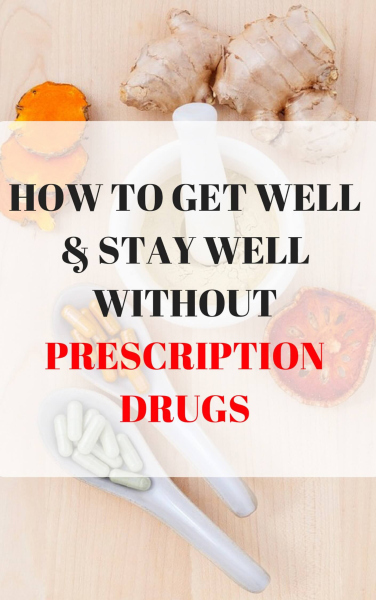 A deficiency of vitamins may lead to pain and stiffness in the body. It is important to maintain a good bone health to keep pain at a bay. Include vitamin D, Vitamin B complex, and Vitamin C supplements in your diet to get rid of neck pain. You may also include foods that are rich in these vitamins in your daily diet to boost their levels in your body and promote your overall health. Blackstrap molasses is packed with high amounts of calcium and potassium essential for your bone health. Therefore, it can help in reducing its deficiency and control neck-associated pain. Pour warm water into a glass and add 1 tbsp of blackstrap molasses. Mix well and drink it two times every day until you see improvements. Cayenne pepper has anti-inflammatory action due to the presence of capsaicin. Warm some olive oil and add a teaspoon of cayenne pepper to it. Mix well and spread it over the affected area. Reapply twice, every day, to keep the pain away. A balm made of coconut oil and other herbs may effectively reduce neck pain. All you have to do is melt 2 tbsp of coconut oil with 1 tbsp of beeswax and add a little peppermint and eucalyptus oil. Blend it well and allow it to cool. Store it in an airtight container. Apply a little balm on your neck and spread it gently to the surrounding areas. 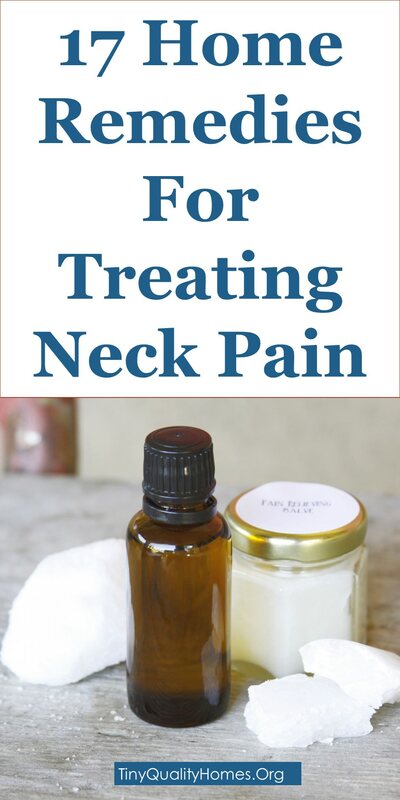 Reapply after few hours to treat your neck pain in a natural way.